Boeing's first concept images of its 777X business class cabin suggests the next-generation jet could adopt what’s generally considered as a last-generation design. Taking advantage of the 777x's slightly wider floorplan compared to the rest of the 777 family, Boeing has squeezed an extra seat into the centre of the business class cabin for a 2-3-2 layout. The staggered layout still provides that middle seat with direct access to the aisle, by weaving around in front of one of the aisle-adjacent seats – as a result, it may end up having even more space immediately in front of the seat that any other bunk on the Boeing 777X. Boeing's take is that the 777X can "offer a 7-abreast business class cabin while still meeting modern day expectations of privacy and a full lie-flat seat." This concept image doesn't necessarily represent a real design – but don't be surprised if Boeing's catalogue of designs includes such a 2-3-2 option to tempt airlines with the lure of fitting more seats into their lucrative premium cabins. That said, Collins Aerospace already offers its Apex Suite in a 2-3-2 version, as seen on Japan Airlines’ Boeing 777-300ER jets (and shown below). Boeing is also leveraging some of the materials technology and design advances made by the Boeing 787: the windows of the 777X are oversized so as to let more light into the cabin, and they adopt the same electronic dimming capability as on the Dreamliners, but with less blue and more darkness. As expected, there's also increased humidity and a faster cycling of fresher air, to keep jetlag at bay and help passengers feel better by reducing that generally grungy sense of reduce travel fatigue. But Boeing also has some new tricks up its sleeve. 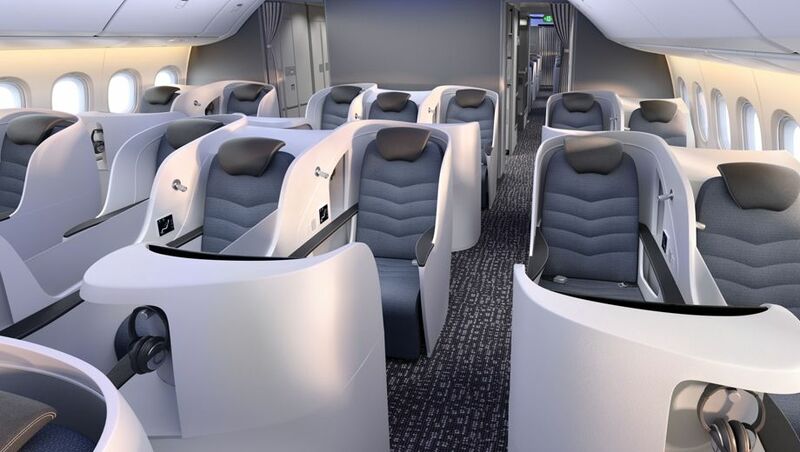 It says the “the ceiling panels themselves” will serve as cabin speakers so that the general appearance of the overhead panels is more streamlined; "improved insulation in the sidewalls" will dampen cabin noise; and there will be more air nozzles firing downwards, but redesigned for "less velocity". Boeing's slow tease of the 777X will ramp up with test flights of the jet later this year, ahead of delivery of the first 777-9 to launch partner Lufthansa in 2020. 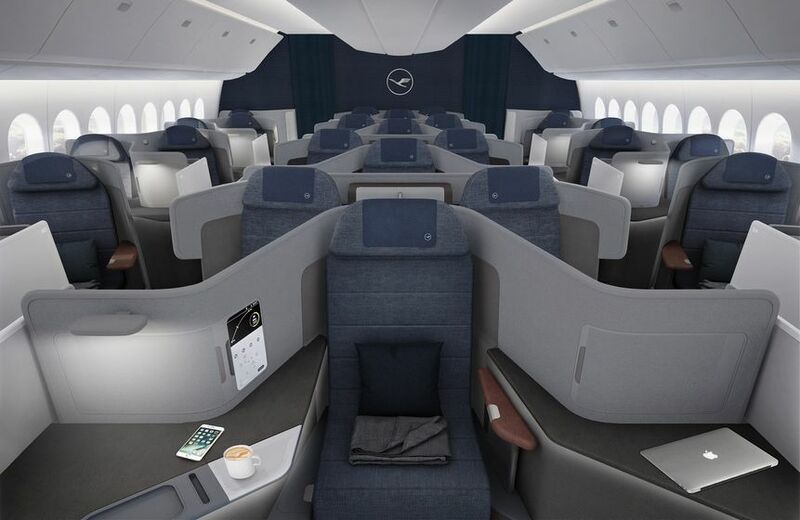 Interestingly, Lufthansa has already revealed its Boeing 777X business class cabin – and it's a less crowded space with its own unique take on seating arrangement, in the form of an alternating 1-2-1 and 1-1-1 layout. The 1-2-1 rows see the paired middle seats are angled away from one another (a privacy screen between the seats which can be lowered for some travelling tête-à-tête, although you'll still need to swivel towards your companion). The 1-1-1 rows provide a centre 'throne' seat which is likely to be highly sought-after, not only for the additional privacy it offers but the added personal space on either side of the passenger. In both rows, the window seats alternate between being located at the aisle, with a bench between the passenger and the window; and having passengers directly next to the window, with a bench between their seat and the aisle. 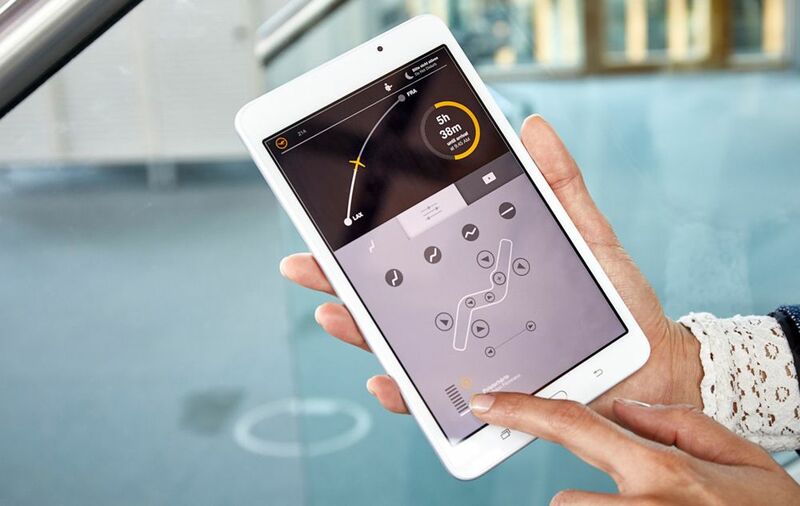 Some high-tech touches include an inbuilt wireless charging pad in each side console, alongside USB-A and USB-C ports, while a removable mini-tablet docked into the wall of each seat will provide control over everything from the inflight entertainment and seating position to lighting and ventilation. ANA, Cathay Pacific, Emirates, Etihad, Qatar Airways and Singapore Airlines have also signed on the dotted line for the Boeing 777-9. The more compact but longer-range 777-8 is scheduled follow in 2022 and is one of the jets being considered by Qantas for its ambitious Project Sunrise, which would see non-stop flights from Sydney, Melbourne and Brisbane to the likes New York, London, Paris, Capetown and Rio de Janeiro. LH's 3 seats in the middle mirror the Boeing mock-up! Look very closely. Initialy I don’t like the idea of this layout. However at the right price say 30% less cost than the usual business class ticket, I would consider. This layout may also be in good favour for low cost carriers business class. In a sad distopian world that all airlines went with this layout. There will be a demand for business+ (1-2-1 layout) and more demand for first..
Let’s hope 2-3-2 doesn’t get adopted as a business class product. If I were an airline operator, rather than offer the middle seat to you for 30% less, I'd prefer to offer it as a complimentary upgrade to a Premium or Regular fare passenger not flying on a discounted ticket. Nothing quite like wetting the appetite to inspire that traveller buying business class fares on future flights. Don't laugh, I know one hotel owned by an Australian casino that does the same when 'Villa' size rooms are un-occupied - and it works !!!! Surely it would be commercial suicide these days to adopt the dreaded middle J seat. Having twin outboard seats without direct aisle access is also a poor move, especially when there are configuration options that achieve a reasonable density without the inconveniences. These aircraft manufacturer concepts are not often indicative of what the airlines do. Of course the worst crime was the 787 origainally being promoted as 8-abreast Y-class but mostly ending up 9-abreast!! But that’s the kicker, all seats are direct aisle access seats in Boeing’s virtual mockup. Each seat will have a cheeky pathway into the aisle separating that seat from the others, hence the staggered appearance. at the right price point then I applaud them, though I suspect that having mini-aisles in every row is not the most efficient use of space on an aircraft. LHs config is very different with staggered seats and feat cubbies under the worktable in front. This concept is completely different from what EK offered... This concept all have aisle access...EK the middle had to jump over sleeping passengers. I am now confused. I thought 777X was ultra long range? So why cram more people into premium? Yes I do understand the profit motive, but surely adding ~25% more passengers into the almost-same premium cabin is not going to attract passengers on these ultra-longs? The Boeing 777X is more of an evolution of the 777-300ER, it's not a special 'ultra long range' model by default. Its about cost per seat mile, the denser the seating the lower the $/mile. The mock up gets as close to 2-3-2 as they can so when they pitch it to the airlines they give the impression their economics are miles ahead of Airbus A350-1000. The airlines will in turn put their own seats in. You should start quoting seat square ft (meters too big) to give some comparison of available space per seat sitting/flat. Australia metricated in 1973, almost 50 years ago. Most of us understand centimetres. See how the seats compare rather than be hung up on the unit of measure. 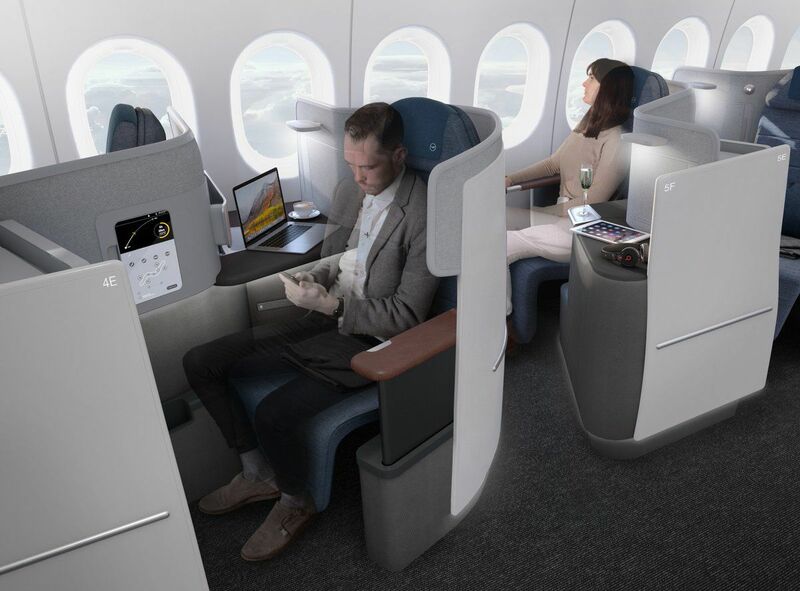 Airlines have been increasingly building out their catalogue of pre-approved seats so that airline can pursue the factory fit (or 'line-fit') option, as this is allows for faster and less-expensive entry into service. I believe that even some of the Thompson Aero business class seats are now part of the Airbus and/or Boeing catalogue. Off-the-rack seats don't have to be heavily customised, although some airlines prefer to do line-fit for cheaper cabins and go more bespoke as you move closer to the front of the plane. Surely the two are the same it just depends on how you market it. 2-3-2 is the same as alternating (1-1-1) and (1-2-1) just with double the amount of row numbers. In both cases everyone gets aisle access. In both cases there is one person sitting next to the window while another further from it. In both cases if you are travelling with someone you will have a middle person in between. Airlines need to make money and if they can provide the same level of comfort, than people will buy tickets and airlines are encouraged to compete and innovate. Ultimately the consumer will benefit. And the staggered design where there is a foot cubicle that goes under the workbench in front. The B787 was designed for 9 abreast but promote 8 abreast under the 'Dreamliner' brand, so was the B777 was designed for 10 abreast but promote 9 abreast under the 'Worldliner' brand for passenger comfort and experience. Since most of the airlines had gone for 10 abreast seating for their B777's the 'Worldliner' brand is now history and the same will happen with the 'Dreamliner' brand. At least the B777X is being promote as a 10 abreast aircraft with 18-19 inch wide seats in Y with no promotion brand. There’s just something not quite “right” about the 777 cross section - in Economy you have to squeeze 10 abreast (cause everyone else is) which makes Y seats too narrow, and in business it’s a middle seat with mini aisles for access, unless you go extra wide like SQ or herringbone. I think herringbone is the best way to go in J on the 777. Is it because they know some corporates and government organisations are wedded to particular airlines, and many self-funded fliers buy on price and don't research configuations? Gee, I thought I was sad? Your comments read more like a 'fetish' with Boeing, than a love affair ! :-) But I agree 100% with what you think. In all its variants, 777 is a dreary, noisy, unimaginative aircraft. Only the a330 series is less interesting. 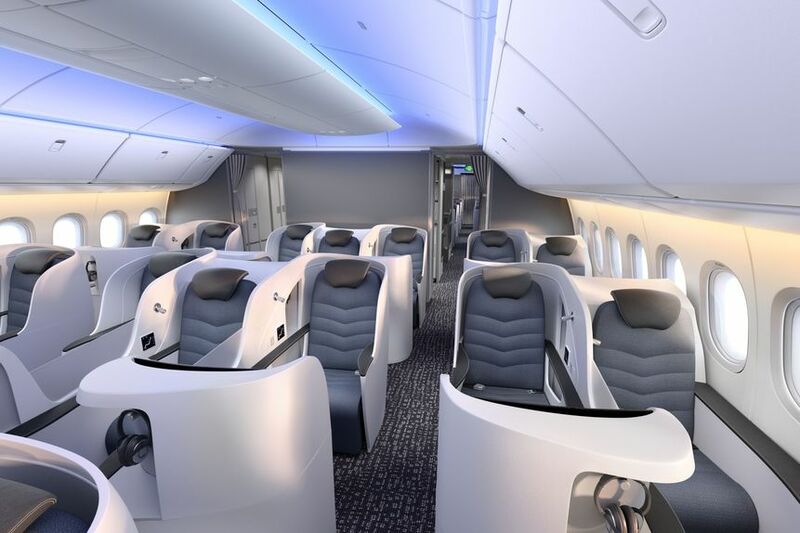 Comment on "Boeing 777X business class concept brings back the middle seat"